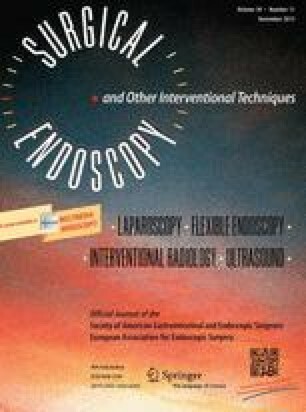 The role of postoperative radiation therapy (RT) after local excision (LE) of deep submucosal invasive rectal cancer remains unclear. We evaluated the efficacy of adjuvant RT after LE of early rectal cancer with deep submucosal invasion. We screened 227 patients who underwent transanal excision or endoscopic removal of deep submucosal invasive rectal cancer between 1992 and 2012, of which 66 did not undergo radical surgery owing to the patient’s preference or poor medical conditions. Of these, 35 (53 %) underwent LE alone (LE group) and 31 (47 %) received adjuvant RT after LE (LE + RT group). Nine patients in the RT group received concurrent adjuvant chemotherapy with 5-fluorouracil. Two independent pathologists reviewed histological data. The mean age of patients in the LE + RT and LE groups was 59.5 ± 9.6 and 55.3 ± 11.2 years, respectively. The mean follow-up duration was 78.7 ± 66.7 months in the LE + RT group and 70.5 ± 45.7 months in the LE group. Cancer eventually recurred in six patients (9.1 %; two in the LE + RT group and four in the LE group). In five of these patients, recurrence occurred within 4 years after the initial treatment. The other patient, who was in the LE group, exhibited multiple lymph node metastases at the 116-month follow-up. Kaplan–Meier estimates of recurrence-free survival at 5 years after treatment were 96.8 % in the LE + RT group and 97 % in the LE group (P = 0.657). RT after LE of early rectal cancer with deep submucosal invasion might not improve recurrence-free survival compared with LE alone. Seohyun Lee, Chang Gok Woo, Hyo Jeong Lee, Kyung-Jo Kim, Byong Duk Ye, Jeong-Sik Byeon, Seung-Jae Myung, Suk-Kyun Yang, Young Soo Park, Jin-hong Park, Jong Hoon Kim, Seok-Byung Lim, Jin Cheon Kim, Chang Sik Yu, and Dong-Hoon Yang have no conflicts of interest or financial ties to disclose.